The 17,000-ft2 practice floor is lit with more than 70 GE Lighting Albeo fixtures while the team has also installed GE Lumination EL Series luminaires in the locker room. While the Cleveland Cavaliers push toward the US National Basketball Association (NBA) playoffs as the hottest team in the Association, the players spend their practice time working under new LED-based sports lighting from GE Lighting’s Albeo brand. The new lighting will save considerable energy while also offering the instant-on capabilities sought by the team. The retrofit of the player development center, called the Cleveland Clinic Courts, also included installation of GE Lighting Lumination EL Series fixtures in the locker room. Cleveland Cavaliers light NBA practice facility with GE Albeo LED high-bay fixtures for sports lighting. The team turned to manufacturer representative Myriad Energy for help in selecting products for the retrofit project. The firm recommended products from Albeo for the project. The new sports lighting is rated for 100,000 hours of life with no maintenance. It’s no surprise that LED lighting is acceptable for a professional sports team at this point as a number of stadiums and arenas now use LED-based lighting. Just recently we covered an LED sports lighting project at the Major League Baseball (MLB) Seattle Mariner’s Safeco Field. Moreover, the National Football League (NFL) Super Bowl was played under LED lighting this year. The Cavaliers’ practice facility is well lit by the new sports lighting as is evident in the nearby photo and the video below. But the main benefits are the instant controllability, greatly reduced maintenance, and lower energy usage. The team also expects to save $14,000 per year in energy costs from the combination of lighting and HVAC systems. That number could increase as the team installs controls. The lighting is already dimmable so energy usage is minimized when the courts aren’t in use. But the team is in the process of installing controls that will allow more granular dimming for portions of the practice-court area. The players, meanwhile, are enjoying better, and more stylish lighting in the locker room as well. The EL Series luminaires use GE’s Intrinsx optical light guide technology. The fixtures have planar optical blades that extend from the fixture body vertically toward the floor. “Cleveland Clinic Courts is among the most technologically advanced team development facilities in pro sports — if not the best — and additions like these new lights will keep it that way,” said Painter. We will see in the coming months if the practice-facility lighting, and perhaps the team’s reacquisition of LeBron James, deliver the fans the long sought championship. This entry was posted in LEDs and tagged fixtures, high-bay, LEds, NBA on April 3, 2015 by lightstoreusa. The battle for control of the emerging smart lighting market is heating up, with new products coming in thick and fast from companies big and small. Yesterday Dutch lighting behemoth Philips announced the Hue Go—a portable version of its now iconic Hue connected LED bulb—and Aussie smart-lighting startup LIFX Labs follows suit with a new product of its own.The company, which pioneered Wi-Fi-enabled color-changing LED bulbs in 2012, has finally gotten around to adding a white-light-only bulb to its portfolio. It’s called the LIFX White 800 and is the company’s cheapest offering yet at $40 each. Being Wi-Fi-enabled, like its color-changing predecessors, means it requires no hub. The timing of the announcement is just a touch off, though. It comes just a day after Philips slashed the price of its own white-light-only offering, the Hue Lux, by a third to $20 a pop. Granted, the ZigBee-enabled Lux is useless without the Hue bridge, but getting one is cheaper now that Philips has also lowered the price of its two-bulb-and-a-hub starter kit from $100 to $80. LIFX bulbs connect to your Wi-Fi network, so they don’t require a hub for control. But if you’re deploying a lot of them, they’re still more expensive than Philips Hue bulbs that do require a hub. Put differently, the Hue Lux is the cheaper option if you need more than two bulbs, with the savings adding up as you scale up. That’s true even if you buy the White 800 in packs of five or ten. But is Hue Lux the better bulb? Not necessarily. A quick look at their respective specs suggests the White 800 has a slight advantage: At 890 lumens (equivalent to a 60W incandescent), it is a good 140 lumens brighter than the Lux. 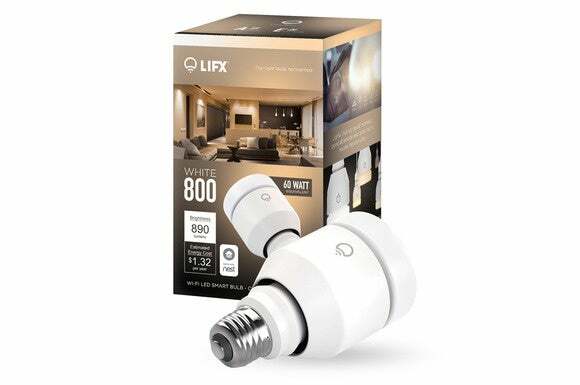 Further, the company claims the White 800 is the first bulb in the entry-level segment to feature a “choice between rich warm to cool white lights all in one bulb.” The official product page, however, makes no mention of the exact color temperatures. A spec sheet gets more specific, listing the bulb’s color-temperature as ranging from 2700- to 6500K. 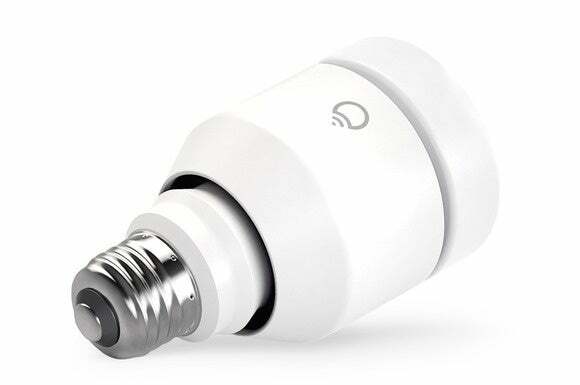 Why this matters: Entry-level smart bulbs like the White 800 should please those who desperately want in on the home automation action, but find most other connected-home devices either too expensive or too intimidating for their liking. In fact, they should please anyone and everyone who just can’t wait for the smart-home party to get started in earnest. Confused? Let us explain. Over the last couple of years, we’ve often heard smart bulbs being described as a potential Trojan horse for the Internet of Things (IoT) phenomenon. Bulbs, the argument goes, trump most other home devices and appliances in this regard due to their almost unparalleled ubiquity and indispensability. And since we’re already in the middle of a global transition from incandescent bulbs to more efficient LED lighting, many will be tempted to go whole hog and get smart bulbs. But for that to happen on a large enough scale, smart bulbs must become more affordable. This entry was posted in LEDs and tagged LEds, lightbulbs, lights on April 3, 2015 by lightstoreusa. 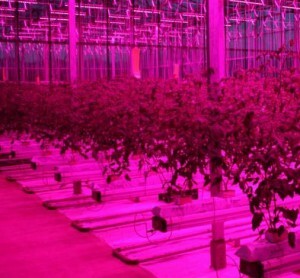 It is not necessarily the efficacy of LEDs that is the advantage, as the high-pressure sodium (HPS) lamps currently used can deliver up to 150 lm/W, but the ability save power by only delivering wavelengths useful to plants – green, for example, reflects off plants. 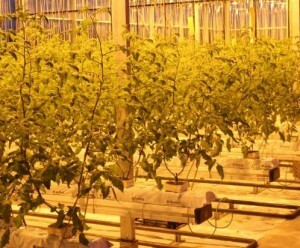 Strockbridge Technology Centre (STC) is a plant growing research lab in Yorkshire. STC’s experiments are under way, with a team of photo-biologists using research lighting modules with two sets of LEDs – one red and one blue – whose intensity can be set independently to vary the spectrum. Stockbridge HPSIt has a greenhouse-scale tomato growth comparison with HPS lighting (see photo, purple against yellow respectively) – using, for those interested, Sunstream midi plum variety. “The first tomatoes from Stockbridge’s research facility were harvested in time for Christmas and have been very well received,” said Nigel Bartle, board member of the East Yorkshire Local Food Network. 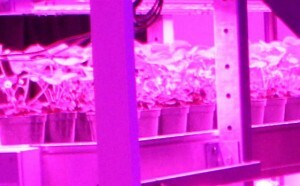 STC also has a series of ‘multi-layer’ trials (see photo) – for intensive horticulture where racks of plants are grown one above the other in trays. One potential application for multi-layer horticulture is in warehouse (rather than greenhouse) growing environments. Intended for growing crops in towns, these warehouses are sometimes called ‘city farms’ or ‘urban farms’. HStockbridge multi layer LEDPS is unsuitable for multi-layer growing. “You can’t put it too close to the crop, it’s too hot. 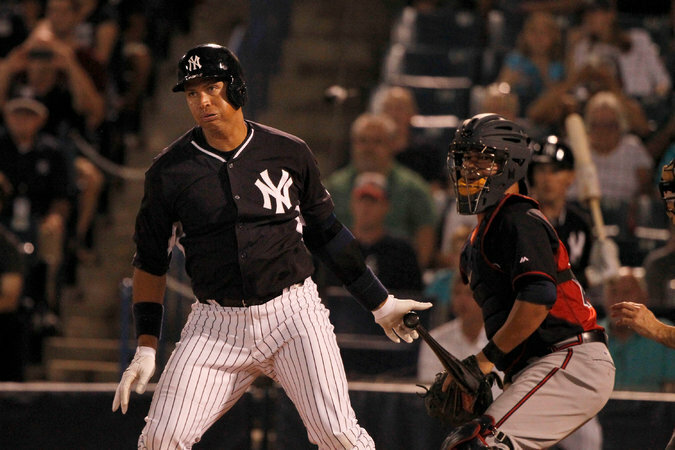 You have to keep it one metre away,” said McPherson. Here, fluorescent tubes are incumbent, and Philips is offering LED-based growing lamps shaped like fluorescent light fittings. Stockbridge Technology Centre is an independent, not-for-profit agricultural and horticultural technology-transfer organisation, wholly owned by the UK horticultural industry. 70% of it work is commercial research. It was once a government research centre. Watts is a measure of the quantity (radiant flux) of electromagnetic radiation leaving a light source. To convert this into the amount of visible light emerging, the human eye’s spectral response is taken into account and the new unit is ‘lumens’ – which like watts is an energy/second term. ‘Lux’ also takes the eye spectrum into account, and is the brightness you get if a lumen is spread evenly over a square metre. Photosynthetic activity in a plant is proportional to the number (rather than energy of) of useful photons landing on chlorophyll. 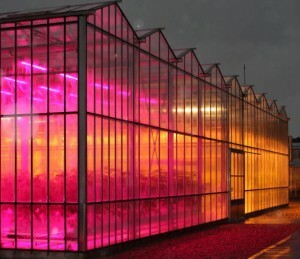 The ‘lumens’ equivalent for plants – the metric which plant-aware people use to take into account chlorophyll spectral response as well as the number of photons leaving a lamp is µmol, and it is a measure of ‘photosynthetically active radiation’ (PAR). The division constant depends on the spectrum of the light source, and is roughly 20 for incandescent bulbs and 80 for HPS lamps. This entry was posted in LEDs and tagged Glasshouse, greenhouse, growing, HPs, LEds, savings on March 23, 2015 by lightstoreusa. Cooper Lighting replaces up to 400W MH fixtures with Lumark LEDs! Cooper Lighting, an Eaton company, has announced the Lumark Night Falcon family of LED-based outdoor luminaires for floodlight applications. Cooper intends the solid-state lighting (SSL) family to span the range of replacing 250W to 400W metal halide (MH) fixtures, delivering energy savings and superior beam control and light quality. The new luminaire design is based on chip-on-board (COB) LEDs that can generate a tremendous amount of light from one light-emitting surface. But COB LEDs aren’t always conducive to the use of lenses to control the beam. Generally, COB LEDs have been used with reflector-based optics rather than lenses, although companies such as Khatod have now developed ways to use new materials to enable larger total-internal-reflection (TIR) lenses. Indeed, Khatod won one of our inaugural Sapphire Awards for its silicon COB lens. For information on beam control, see our feature article on the topic. Cooper, however, stuck with reflector optics in the Night Falcon LED floodlight design. The company said that it delivers uniformity and beam control matched to the application at hand. Specifically, the design is based on the NEMA (National Electrical Manufacturers Association)-specified 6H×6V distribution. Such a design is intended to deliver maximum fixture spacing for projects and that delivers the lowest fixture and installation costs. The Night Falcon is designed for 50,000 hours of operating life delivering L90 or 90% or more of initial light output. The reliability comes from thermal fins that cool the LEDs and the use of a sealed housing for the driver electronics. The product carries an IP66 rating for water and dust ingress. Cooper also offers optional controls for the Night Hawk family of LED floodlights. For pole-mounted area-lighting applications, a sensor enables autonomous dimming to 50% of maximum output when no activity is detected in the area of the luminaire. Cooper says the implementation meets stringent California Title 24 codes for energy efficiency. Moreover, a NEMA socket enables the addition of a daylight sensor to turn the lights on or off automatically. This entry was posted in LEDs and tagged 400W, Cooper, Floodlights, LEds on March 20, 2015 by lightstoreusa. General Electric Lighting and Lighting Science Group unveil LED Circadian Lamps! GE Align SSL retrofit lamp technology aims to nurture the natural human sleep and wake cycles, while the Lighting Science Group Sleepy Baby product is designed for infant sleep training. GE Lighting and the Lighting Science Group (LSG) each have new LED-based, retrofit-lamp products intended to help humans sleep properly. GE’s new Align family includes different versions intended for night and morning usage. Lighting Science Group has been selling similarly-intended Good Night and Awake & Alert lamps and has now added Sleepy Baby lamps designed to assist parents in training infants to sleep through the night. It is fairly well established that warm-CCT light at night encourages melatonin production in humans and induces sleep and a restful night. Likewise, blue-rich cooler-CCT lighting in the morning can suppress melatonin and lead to alertness and increased productivity. Philips was involved in one such study on LED lighting and human circadian rhythms. Researchers still don’t fully understand the impact of lighting on non-visual receptors in humans, as we covered in a recent interview. Still, many companies are ready to move forward with solid-state lighting (SSL) technology intended to optimize sleep/wake cycles. Many of the products being developed for matching the circadian cycle use tunable light engines to produce the warm and cool light at different times of the day and night. But such designs inevitably cost more because multiple channels of LEDs are involved, a more complex driver is required, and a control element must be included for either autonomous or programmatic control of the lamps or luminaires. The products we cover here including the GE Align lamps take a more simplistic approach to circadian lighting. GE is offering two separate LED retrofit lamps for night and morning usage. The Align PM bulbs produce an amber hue meant to mimic candlelight or fire. GE recommends that people use the 7W lamps that produce 350 lm for 30 minutes prior to bedtime. The 11W Align AM lamp produces 900 lm in a hue that GE describes as “concentrated bluish-white light. The company says that 30 minutes of usage after waking helps promote the natural wake cycle. The lamps are each listed at $35, although amazon.com has the PM version for $31.09 and the AM version for $32.48 currently. GE has also produced a lengthy whitepaper on lighting and sleep. The nine-page PDF document includes a characterization of our current base of knowledge on the circadian rhythm, melatonin production, and the sleep/wake cycle. Perhaps more significantly, the document includes a comprehensive set of references to research in the area. Of course, the GE lamps were not the first such products to market. LSG had announced the Good Night and Awake & Alert lamps at the Consumer Electronics Show (CES) back in January 2014. At the time, LSG said the consumer products were based on what it had learned in working with astronauts that had visited the International Space Station who depend completely on artificial light. Now LSG has released the Sleepy Baby lamp designed for use by parents during an infant’s nightly bedtime routine. The 3.5W retrofit lamp produces 300 lm and is designed to replace a 40W incandescent bulb. The product has a very-warm 2300K CCT and is rated for 25,000 hours of use. It sells for $30 and comes with a five-year warranty. This entry was posted in LEDs and tagged GE, Lamps, LEds, LSG, Sleep, Technology on March 20, 2015 by lightstoreusa. Enhance Your Lighting spot from GE starring Jeff Goldblum as Terry Quattro, the world’s most well-lit man. Click image to see video! GE Lighting’s cutting-edge GE Link connected LED bulb will enhance your lighting like no other light bulb. Just ask an over-the-top celebrity, played by Jeff Goldblum, who owes all of his success to really great lighting. This entry was posted in LEDs and tagged GE Commercial, LEds, lighting on March 14, 2015 by lightstoreusa.